Are Japanese karate teachers afraid of imparting the original art of karate to practitioners outside of Japan? Or more to the point, is Japan itself now becoming a major exporter of non-traditional martial arts? Has the time arrived for an abbreviated karate, different in intent and emphasis from that taught by the masters? Is there a need in South Africa for a style taught with pleasant vestiges of traditionalism and a boiled-down number of techniques to make the learning go quicker? In some ways, of course, South African karate teachers have been asserting and teaching such an approach. In fact, what's new about the approach taken by Hoosain Narker, a Black Belt with more than 30 years of experience and International Director for Ashihara Karate, is largely that it is being employed by a martial artist trained and educated primarily in South Africa. 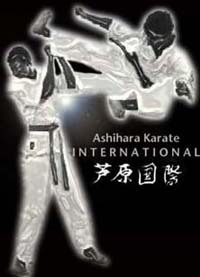 According to Narker, the main concept behind Ashihara Karate is "Karate without Tears." Narker took pains to point out that his karate does not believe in combating force with force. Instead it believes in capitalising on the opponents strength. "The aim is to punch without being punched", said Narker smashing his fist against an imaginary opponent after side-stepping the blow. "Never meet an opponent head-on. Always move around him and attack from the side or back where he is the most vulnerable. This way you will avoid injury to yourself." In some styles of karate, confrontation with an opponent is a relatively rare occurrence. Not so in the Ashihara Karate schools directed by Hoosain Narker. Indeed, it would seem that the heart of this system is built around the idea of facing at least the simulated hostility of another student. In explaining how his system differed, he stressed the importance of lateral movement, teaching the student to handle himself at three different ranges, the use of the knees and elbows, use of the legs to block kicks and the importance of punching through the intended target. 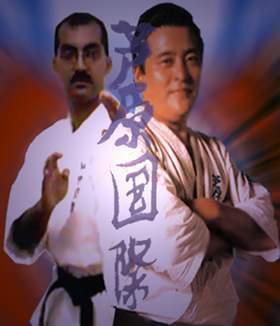 Ashihara Karate has been influenced by Aikido evasive techniques and this has lead to the development of Ashihara's Sabaki principles. Narker stated "That in this style of karate you never come straight in. You angle, get in a position where you can do harm but he cannot". Some styles do some Tai Sabaki, but with Ashihara total emphasis is placed on it as everything revolves around it. Most combinations, etc. are done by the stepping out or absorbing principles. So important is the concept of angling that the Ashihara logo illustrates it. The Ashihara reverse punch is another difference to traditional Japanese Karate. With Ashihara stylists, the rear heel is lifted off the floor, for one thing, and the punching shoulder is allowed to rotate towards the target. When you are hitting, you want to punch through the target to penetrate. You do not, for instance, see a lot of back fists or ridge hands , and certainly no showy blocks. Instead you have the relatively high, short stances of the professional kick boxer - along with the kick boxer’s fondness for elbow and knee strikes. Whilst the Ashihara punches show a clear boxing influence, the style itself prefers a hooking elbow smash to the standard boxing hook. At close range, the Ashihara style inevitably proceeds towards a take down. And whilst there are a variety of trips and sweeps employed for getting the man down, once he is down he is finished off with punches and stomps. At a medium range, the adept makes use of shorter kicks and longer punches. At long range, the emphasis shifts to roundhouse kicks and evasive and gap closing counters. Anyone wanting more information on Ashihara Karate or in wanting to join a branch school, may contact the Headquarters at +27 21-7011701 or contact any of the branch instructors listed under "branch information".